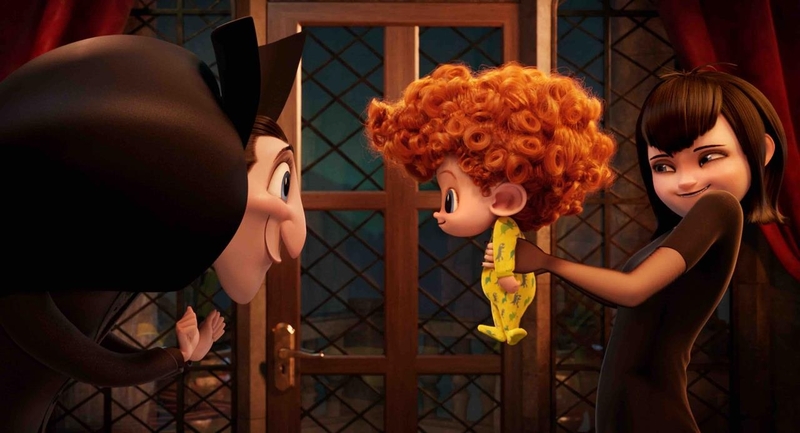 From the outset, Hotel Transylvania 2 doesn’t exactly seem like an ideal animated feature. Not only are we littered with largely cash-in animated sequels these days (see Minions), but the original Hotel Transylvania isn’t exactly remembered as an animated classic, to put it gently. 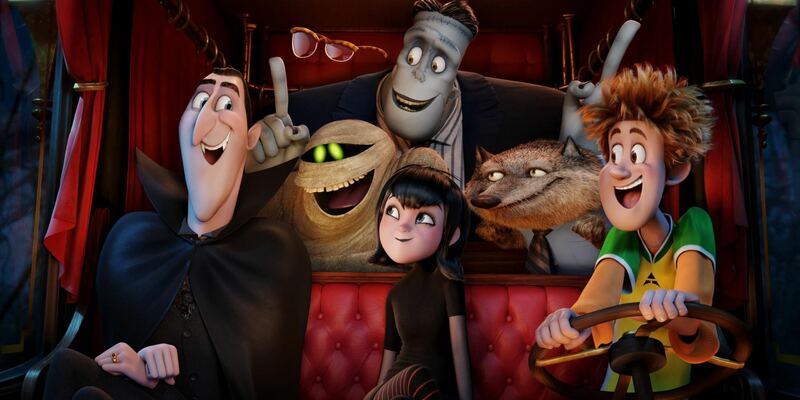 When all is said and done, Hotel Transylvania 2 isn’t going to win over its skeptics, but if it is a cash-in sequel, at least it gives something of an effort to be something more. Hotel Transylvania 2 once again sees the iconic vampire Count Dracula (voiced by Adam Sandler, to which Dracula bears a strange resemblance) in charge of a castle-turned hotel. Only this time around, Hotel Transylvania is no longer monsters only, and has opened its doors to humans after Dracula’s daughter Mavis (Selena Gomez) fell in love with a human named Jonathan in the first movie. The movie’s opening moments take a few awkward leaps in time, beginning with Mavis and Jonathan’s wedding, then skipping ahead a few months to when Mavis announces that she’s pregnant, then jumping to the delivery room, followed by their son Dennis’ first birthday, which then jumps to the weeks leading into his fifth birthday, which is where most of the plot takes place. These leaps in time give Hotel Transylvania 2’s opening moments a very awkward pacing that might have been better realized with a proper segue. A quick montage might have worked easier, or simply going from Mavis’ wedding to her pregnancy and then going straight to the main plot might have been an improvement as well. Anyway, Dracula has a growing concern that Dennis’ human parentage outweighs his vampire half. It turns out that if Dennis makes it to his fifth birthday without growing his vampire fangs, then he is a full-fledged human. 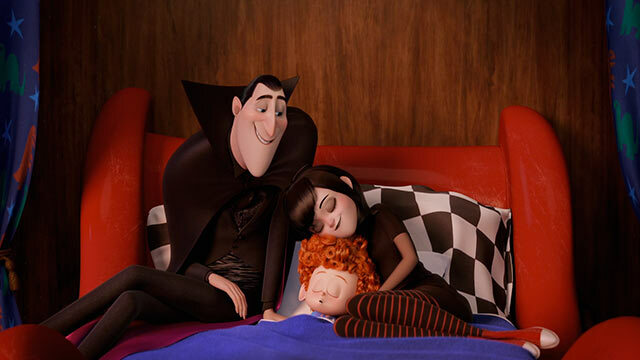 Dracula’s fear that his grandson is a human puts his newfound tolerance into question, but this also means that if the kid is human, then living amongst the monsters of Hotel Transylvania will be too dangerous, which in turn means that Mavis, Jonathan and Dennis will have to move away, leaving Dracula alone. So Dracula plans for him and his buddies Frankenstein (the monster, not the doctor), a werewolf named Wayne, Murray the mummy, Griffin the invisible man, and the self-explanatory Blobby to take Dennis to their old haunting grounds to teach the kid how to be a monster. All the while Jonathan takes Mavis to visit his parents in California as a distraction, since he’s in on Dracula’s plan and wants him to succeed so the family can stay at Hotel Transylvania, as he finds he fits in better there than with his fellow humans. Truth be told, I actually enjoy the idea of Count Dracula being portrayed as a grouchy grandfather trying to adjust to a time quite different than his own. The problem is that the plot quickly runs out of steam, with Dracula and company’s attempts to bring out the monster in Dennis feeling like short episodes of a Saturday morning cartoon. And Mavis’ side story – while not without some laughs – ultimately falls flat, and feels more like a distraction for the audience than it does for Mavis. Hotel Transylvania 2’s greatest pitfall, however, is its insistent references of social media and pop music. One of the great things about animated films is their timeless appeal, which feels a bit more inherent in them than in other movies. But these days you see an unsettling amount of animated features rob themselves of that timeless quality by bombarding audiences with in-the-moment references and relying on popular music that probably won’t be remembered in a year’s time. The jokes relating to Facebook, Twitter, friends lists, smartphones, and other social media whozits just don’t stop (though I admit I enjoyed Dracula’s GPS which has a voice reminiscent of Peter Lorre). And naturally, Dracula and friends just have to bust a move to some pop tunes. In the end, all this does is make Hotel Transylvania 2 feel desperate to be considered hip. You would hope that if Hotel Transylvania 2 just had to rely so heavily on references, that it could at least be making shout outs to old monster flicks. Hotel Transylvania 2 does have some good points though. When it isn’t busy with the pop culture-y stuff, the movie feels like it has good intentions going for it. Most of the jokes are puns and sight gags, but it’s harmless fun. Count Dracula is also – by an unfathomable margin – the most likable and entertaining character Adam Sandler has portrayed in many years, and the other characters are decently more tolerable than you might expect from a CG animation of this nature (that is to say, they aren’t annoying). The animation is similarly impressive, with fun character designs and humorously exaggerated movements (though I’m not sure I enjoyed the sporadic movements of the characters’ mouths). There’s a good sense of physical comedy to be had with Hotel Transylvania 2’s animation. It’s just a shame that the awkward pacing in the opening act, inconsistent plot, and grating social media references end up dampening what would otherwise have been a promising sequel. Even Dracula’s Mel Brooks-voiced pops, Vlad, can’t quite save it in the final act. Young children might get a kick out of Hotel Transylvania 2, and it does have some winning moments of humor and character development. But in the end, despite some good intentions, Hotel Transylvania 2 becomes a victim of its own tropes. Previous Previous post: Top 5 Third-Party Characters Who Should NEVER be in Super Smash Bros.